Disciples Women’s Ministry Leadership Team is excited to invite you to the following events in 2019. On April 27, 2019 we will be hosting the annual Spring Gathering. Once again we will be meeting at the Chiara Center in Springfield IL. This is a beautiful retreat center so plan to come and spend the day or come early for some quiet time and Sabbath reflection. Overnight accommodations are available and may be book separately by calling the Chiara Center. The Gathering will begin with registration at 9:00 AM and will conclude at 3:00 PM on Saturday April 27. Our theme is How to Love Ourselves While Still Loving Others: The Art of Self- Care. With consideration of Mark 12: 30 – 31 we will consider how Sabbath practice and the acceptance of God’s unconditional love of each of us is the foundation for loving engagement with and for others in the healing of a broken world. Reverend Chesla Nickelson, Program Director for International Disciples Women will be our keynote speaker for the morning. In the afternoon, Kelsie Bently from Virden, IL will lead sessions on A Time for Ourselves, a discussion of self-care practices and Beth Rupe, Bloomington, IL will lead sessions on A Time with God, a discussion of how to create your own prayer book through the art of journaling. The cost is $48 per person and registration will be available online and more information sent to the churches in January 2019. In addition to the Gathering, this year we are pleased to announce that the Disciples Ministry Leadership Team will be hosting three Pray and Play days. These four hour afternoon sessions will give girls and women from kindergarten through adulthood opportunities to come pray and play together. The event will include opportunities for the women to pray together, sing together, explore new prayer practices and create a craft that can be displayed in their homes or used as a model in creating more for a fundraiser for their home congregations. Girls who are in kindergarten and grades school will have the opportunity to pray, engage in story time, and create crafts. Of course, there will be snacks throughout the event. Craft Project – Seasonal Mesh Wreaths. August 3, 2019 from 1 – 5 PM at First Christian Church in Macomb, IL. September 14, 2019 from 1 – 5 pm at Park Manor Christian Church in Chicago, IL. Cost for each event will be $20 per adult and $10 for those ages 6 – 12. Cost will include all materials for the event. Registration for Pray and Play Days will be available online and registration materials will be sent to congregations in January. 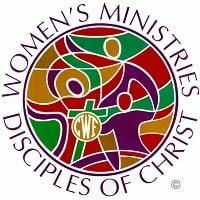 Mark your calendars now and check the Tuesday email, CCIW Disciples Women’s Facebook page by going to Facebook and visiting and liking CCIW Disciple Women’s Ministries for additional information.